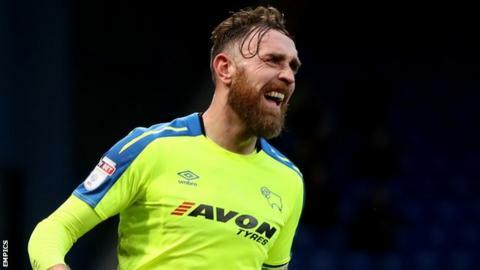 Derby County centre-half Richard Keogh has signed a new contract to stay with the Championship side until 2021. Keogh, 31, was appointed Rams captain when he signed from Coventry City in July 2012, and he has so far made 276 appearances for the club. The Republic of Ireland international's previous contract was set to expire at the end of the 2018-19 season. "I wanted to commit myself to the club and hopefully I can finish my career here," he told the club website.